The second polish from the Zoya Ornate collection I have for your viewing pleasure is Zoya Aurora. 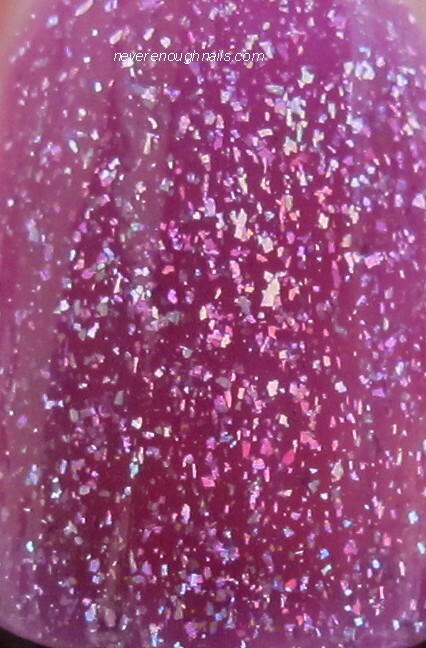 Zoya calls this "plum with multi color crystal shimmer". 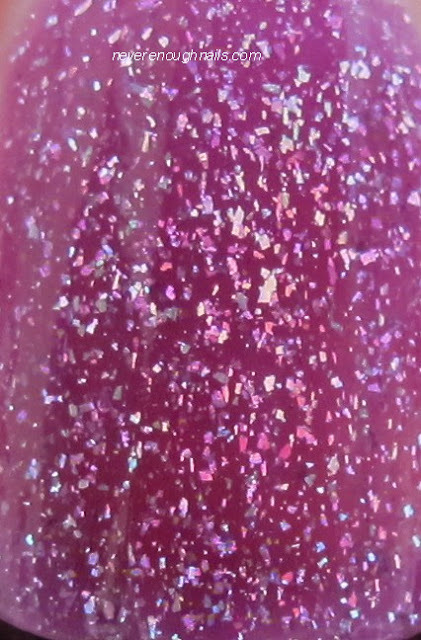 Aurora is one of the polishes in this collection with the holographic smooth shimmer bits. It's definitely not an actual holo polish, but in real life it does have some rainbow-y looking shimmer in strong light. Unfortunately, it was pretty cloudy when I took these pictures and you can't see the holo effect that well. You can see it best in the macro shot above. It's not super strong in person either though. Aurora is really pretty, but needed three coats. Even at three coats, I can see a little VNL and some may want a fourth coat. It applied well, but not as perfectly as Zoya Blaze. Zoya Aurora is available at Zoya.com. I love Aurora! I'm wearing it right now, but the only difference I have is it was opaque in two coats and the holo is blindingly incredible! Hmmmm, maybe I got a weird bottle? I should try three coats and see if that makes it more blindingly holo!